White Chocolate Gateau: White Chocolate Day. (Updated post. First published here 17th July 2016). Hello friends, happy white chocolate day. Love white chocolate? I do! White Chocolate Gateau created by Gregg Wallace. Grease and line the bases of two 20 cm (8 inch) round sandwich tins. 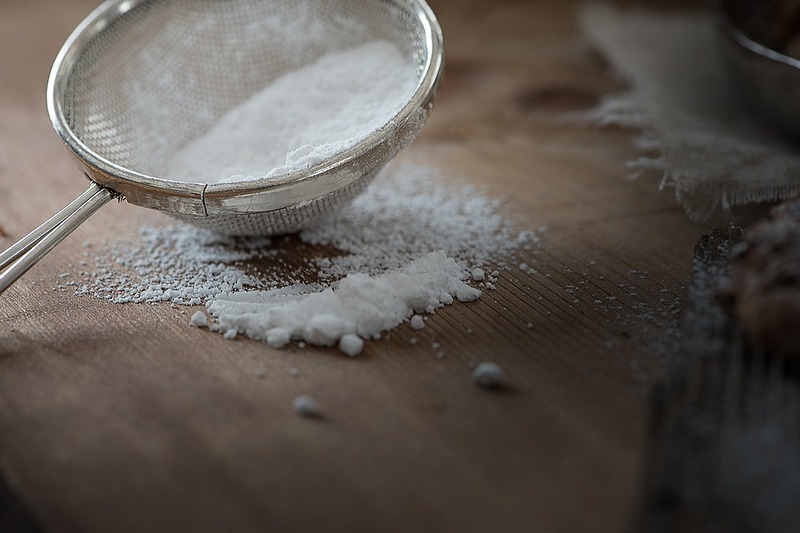 Whisk the eggs and caster sugar together in a large bowl using a hand-held electric whisk until thick enough to leave a trail when the whisk is lifted. Sift the flour into the bowl. Add the grated chocolate and fold in using a large metal spoon. Divide the mixture between the prepared tins and bake in a preheated oven, 180°C (350°F), Gas Mark 4, for 20–25 minutes until just firm to the touch. Transfer to a wire rack to cool. Stir the rosewater into the crème fraîche and use to sandwich the 2 cakes together on a serving plate. Put the white chocolate and butter in a heatproof bowl set over a saucepan of barely simmering water so that the base of the bowl is not touching the water and leave until melted. Allow to cool, then stir in the cream and icing sugar and beat until smooth. Leave the mixture to cool further until it forms soft peaks, then spread over the top and side of the cake using a palette knife. Decorate the top of the cake with white chocolate curls, sugared rose petals, if you like, and a light dusting of icing sugar. 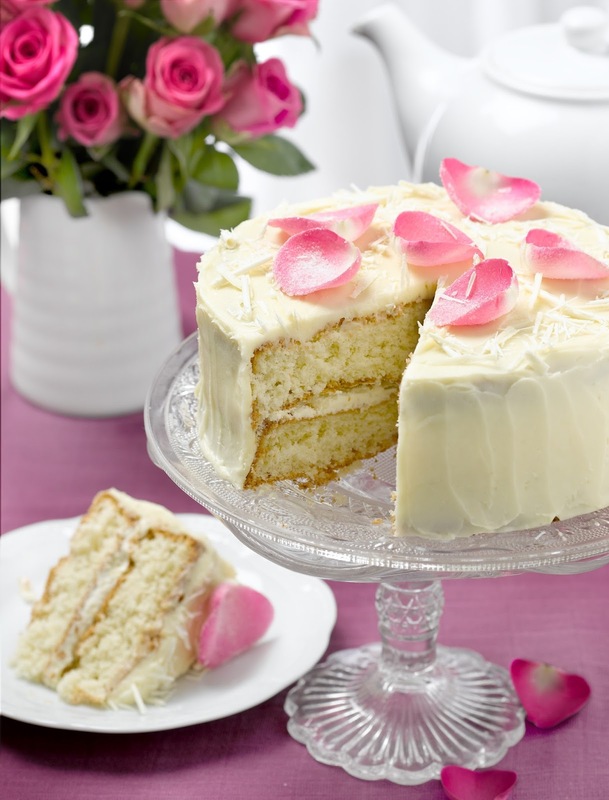 The sugared rose petals decorating this cake enhance the subtle rosewater flavouring. To make, lightly brush fresh rose petals with beaten egg white and dust them with caster sugar. 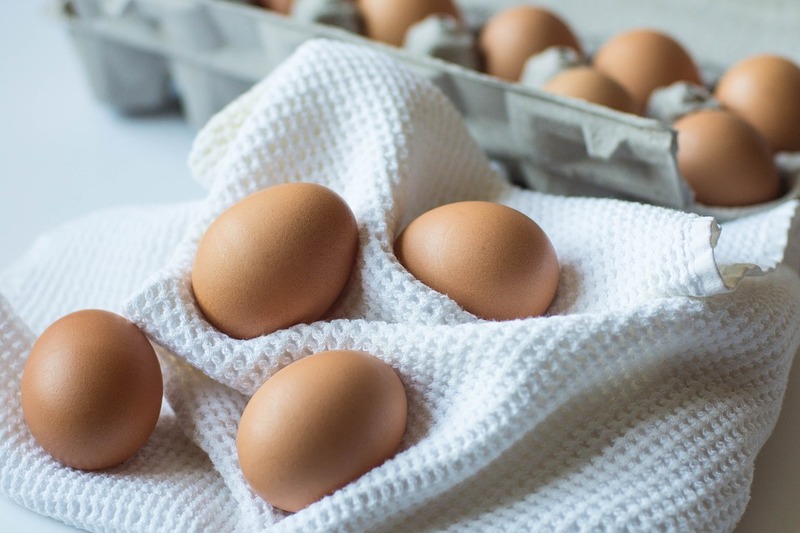 Leave to dry on non-stick greaseproof paper for 1–2 hours before using. White Chocolate And BerryWorld Cranberry Truffles. White Chocolate Blondie’s with blueberries And Macadamia Nuts. Strawberry, Vanilla And White Chocolate Scones. White Chocolate Cookies Studded with Cranberries. White Chocolate And Pistachio Sponge Blondies. "Goodbye Summer Hello Autumn #WeekendLinkUp"
"#MySundayPhoto: A Selfie Of A Selfie"
OMG that cake looks amazing! If I tried to make it it would not look like that! Yummmm!! White chocolate sounds so good right now. What a gorgeous presentation of such a beautiful cake! I’m fairly certain THIS is the sorta cake that I wouldn’t make myself but I wouldn’t mind trying a slice. Would you care to send me a piece? It sure does look good! Absolutely beautiful!! Thanks for sharing at the What’s for Dinner party! Hope to see you every Sunday! Have a wonderful week. I am such a sucker for white chocolate and this cake looks gorgeous! I think this would be perfect for a shower! Oh my goodness! That sounds and looks so delicious! I’m sending it to my daughter, the cake bakerista!